The Lakes are a perennial holiday favourite: the fresh air; the endless views and the abundance of nature combine to make the Lake District on of the most romantic and peaceful place in the UK. So, not the sort of place to bring your kids, right? Wrong. Where grown-ups see a pretty forest, kids see nature’s climbing frames; a serene lake becomes a gigantic swimming pool; and a sandwich-thieving squirrel is less of an annoyance and more of a cheeky new mate. The Lake District is one of those rare places which can be all things to all people – as long as your idea of a good time doesn’t involve staying indoors with the curtains closed. Here are a few of our top picks for family days out in the Lakes, no matter what your adult-to-child ratio may be. Set in the heart of the Lake District, this wildlife park has just celebrated its 20th birthday (it was formerly known as Trotters World of Animals), but it still feels like a small open farm, rather than an open-range zoo - probably because you are allowed to feed, hold and even hug most of the animals. There are now more than a hundred different species of animal at the park, ranging from the classic crowd pleasers (zebras; snakes; meerkats) to the relatively obscure (tapirs; gibbons; lynx). There is an emphasis on education and conservation at the park, so expect your kids to come away with more than a few new facts about their favourite animals. an emphasis on education and conservation at the park, so expect your kids to come away with more than a few new facts about their favourite animals. Don’t miss: The birds of prey. The Lake District Wildlife Park has one of the world’s leading vulture conservation programmes, and over the years it has made a feature of its massive collection of birds of prey. Older kids (16+) can experience the ‘Walk with a Hawk’ tutorial, while younger children can enjoy the Park Keeper Experience and even adopt an animal. This is the perfect place for adventurous, outdoorsy families. 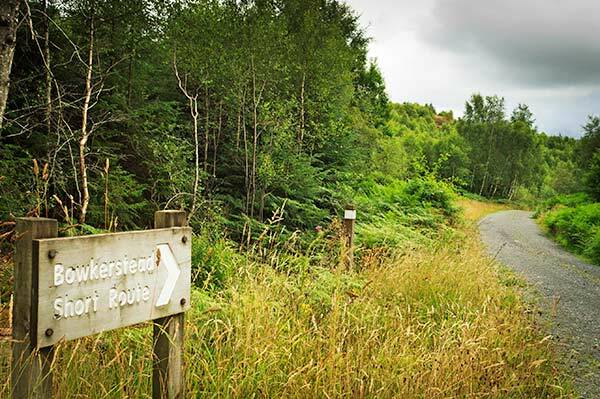 You can hike, cycle, ramble, and sail around the vast fells of Grizedale Forest and the nearby Coniston Water. The forest is probably most famous for its cycle trails, which are graded according to difficulty (from easy to hard), so you can explore the woodland at any pace. From the shores of the forest you can take a boat across the water to the picturesque Peel Island AKA Wild Cat Island from Arthur Ransome’s Swallows and Amazons, where you can stroll around at your leisure and see if you can spot any familiar sights from the book. Don’t miss: The hidden art works. Grizedale Forest has inspired countless artists and writers over the years, and there are scores of unique artworks hidden among the trees and fells of the 8,000 acre woodland. Keep your eyes peeled for iconic pieces such as ‘Taking a Wall for a Walk’ by Andy Goldsworth. When you arrive at the World of Beatrix Potter it feels like you are stepping into the pages of your favourite childhood books. There’s the ‘Peter Rabbit Garden’ where Farmer McGregor has erected a bunny-shaped scarecrow to keep his nemesis at bay; and there are a range of interactive exhibits which focus on the local flora and fauna (you may even spot a bunny rabbit or two if you’re quick!). During the summer, the venue hosts family-friendly plays and musicals – many of which feature Beatrix Potter’s favourite characters – but as one of the Lake District’s most popular attractions, booking ahead is always advisable. Make the trip even more special for you and your family by reading (or re-reading) the Peter Rabbit books beforehand – then look out for all the extra special little details which bring the garden’s to life. Don’t miss: The Tea Garden. You can have a traditional afternoon tea in the comfort of an English country garden, in the company of Peter Rabbit himself, plus a few special guests. The Ravenglass and Eskdale Railway is the closest you’ll get to a live action Thomas the Tank Engine. 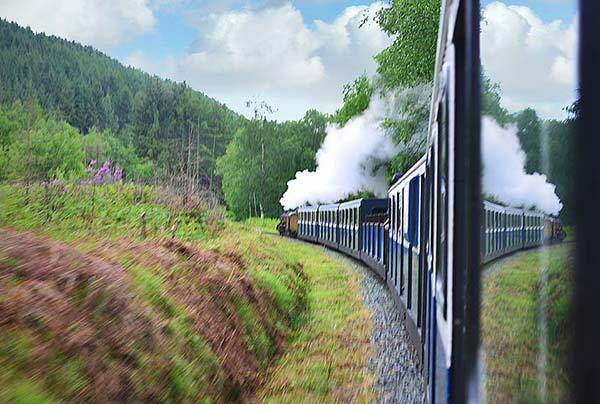 The tiny 100-year-old railway line is used by just four vintage steam engines, which run from the coastal village of Ravenglass all the way up to the fells of Eskdale, passing gorgeous mountains, lakes and forests along the way. Don’t miss: The view from the top deck. On sunny days, the covers are removed so travellers can get a truly unique view of the stunning surroundings. Look out for curlews, red squirrels, buzzards and Greylag geese on the journey. If you only have one day to spend in the Lake District (although frankly, that would be madness), spend it at Brockhole. The Lake District Visitor Centre is a one-stop-shop for the best of the Lakes, featuring a sprawling parkland, beautiful English gardens, access to the majestic Lake Windermere, and activities galore! There are family-friendly events on offer all year round (think archery; bird-watching; even wilderness survival skills! ), but you will need to book these in advance as the spaces fill up fast. Brockhole’s lakeside location means it is also a great place to start your Lakes adventure. Catch a boat from Windermere and head north, or explore the lush natural scenery with a trek around the Lake District National Park. Don’t miss: The Treetop Trek – part zip line, part tree-climbing, you will race across the treetops like Tarzan himself – if Tarzan had been from North West England, of course. Younger kids will enjoy the TreeNets adventure next door, where they can bounce from tree to tree across a (secure!) series of nets and hammocks.